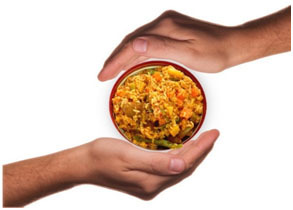 It is now the moral and corporate responsibility of Organizations in the food chain to “ensure food is safe to consume” and thus try to eliminate therisks caused by food contaminated with bacteria, viruses, parasites or toxins.Thus, organizations have to put up a reliable system to ensure food safety. Hence, it is becoming increasingly important for organizations to establish, implement, maintain and improve aFood Safety Management System. One of the ways to do this is by ISO 22000:2005 Certification. ISO22000 is an internationally accepted food safety management system standard, which specifies requirements of a Food SafetyManagement System (FSMS).The ISO22000 standard provides framework for continually monitoring, reviewing and improving Food Safety. ISO 22000 - Food safety management systems - Requirements for any organization in the food chain. This is the auditable standard for FSMS. ISO TS 22003 - Food safety management systems for bodies who provide audit and certification of food safety management systems.